In a few days the gates of the Cologne fair dedicated to furniture will open: the 2019 edition of imm cologne, Internationale Möbelmesse, and the “traveling companion” LivingKitchen will open on Monday 14 and end on Sunday 20 January. 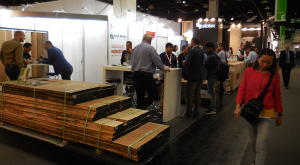 A total of 1,300 exhibitors are expected in Cologne (70 percent foreigners), a few percentage points more than the 1,253 in 2018. Companies representing “made in Italy” are growing, this year exceeding 100 compared to 94 in 2018 and at 92 in 2017 which is the comparable edition, as the odd years are the “years of the kitchens”, which alternate with the even years, dedicated to the bathroom and coatings sectors. The Italian team in Cologne boasts the presence of the most important companies in the sector, now affectionate to imm cologne: B & B Italy, Baxter, Cassina, Cattelan, Flexform, Giorgetti, Lapalma, Living Divani, Mdf, Minotti, Molteni, Poliform, Poltrona Frau, Porada, Riva, just to name a few, but also sees important returns, such as Knoll International, Zanotta, Lema, Edra. Knoll, among other things, will be among the protagonists of one of the novelties staged for the next edition, the exhibition on the Bauhaus − set up at the south entrance, in the passage between pavilions 3 and 11 − to celebrate the world famous school of architecture, art and design that animated the cultural climate of the beginning of the century and left strong traces that still stimulate designers and artists. 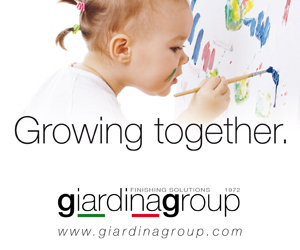 In the same exhibition there will also be another Italian company, new entry in imm cologne, Ghidini. 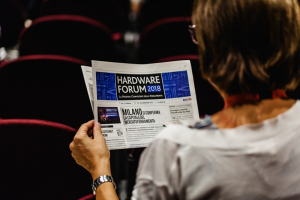 Italian companies will be present significantly, especially in the spaces reserved for the “top of the range”, always collected under the “Pure” label, this year developed and expanded in “Pure Atmospheres”, staged in Halls 11.1, 11.2 and 11.3. The latter will also present the “Trend Atmospheres” exhibition, an exhibition in the center of the pavilion with a certain effect, enriched by a prestigious catering area that will be the meeting point for buyers in this specific segment. More space also for “Pure Editions”, in Halls 2.2, 3.2 and this year, also in Hall 3.1, always one of the most visited areas of imm, a sparkling and innovative concept that sees the presence of important international design brands, that will set up very open and passable stands, where the product will emerge, to be the master, so as to make the visit become a true experience at 360 degrees. Cologne will offer much more to the tens of thousands of visitors expected, in an authentic, gigantic kaleidoscope of furniture, lights, furnishing textiles, trends and colors that will dominate next season, as well as cutting-edge projects by young designers, smart home solutions “And visionary concepts signed by the best designers. Altogether there will be eleven pavilions in which there will be space for every kind of furniture, not only for creativity or the names of great contemporary appeal: as always there will be space for more traditional furniture in the “Prime” segment, while in the “Comfort” the upholstered furniture will be presented, in the “Sleep” the night scene will be on stage and in the “Smart” the furniture in kit easy to assemble, intended for a young target. Among the focus of the review for 2019 there will be “Das Haus”, a sort of ideal home whose construction is entrusted every year to established designers with great appeal: this year the 180 square meters available to “invent” the home of the emotions have been entrusted to the Australian designers Truly Truly, of the homonymous studio in Rotterdam.